A real estate website platform for agents in Canada that Syndicates listings to social media platforms. Did you know that EstateVue’s real estate website solution has the ability to share listings to over a hundred different social media and sharing sites? 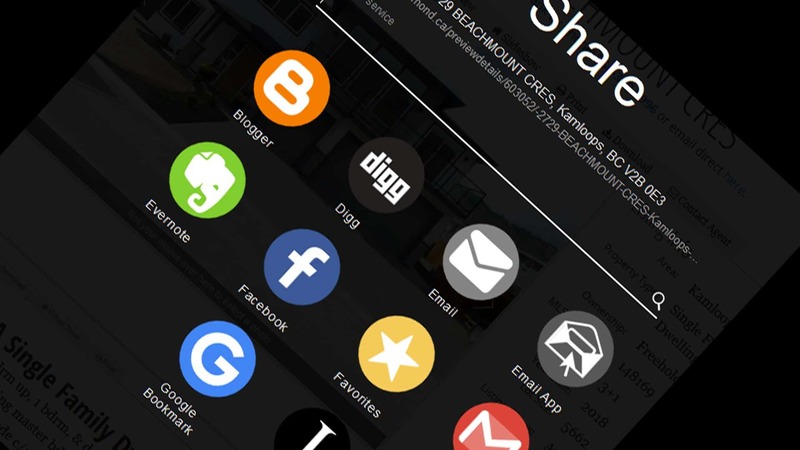 Our website technology designed specifically for real estate and listing sharing uses the Add This sharing tool, allowing you to easily send the listing URL to many accounts like Facebook, Tumblr, Twitter, and many many more. STEP2: Click the “share” button. STEP 3: Pick from any of these services (these are only some of them) and share the page to your account. If you do not have any of these accounts setup, simply go to their home page and sign up for an account. As you can see, sending your listing to social media through our Canadian based real estate website platform is as easy as 1-2-3.